The luxury of a high level language, Strachey continued, was that it allowed the programmer to reason about variables instead of locations (or addresses) and functions instead of subroutines. When an ALGOL60 programmer writes a statement such as x := Sin(y+3) then he has in mind the mathematical functions sine and addition. For Strachey, the finiteness of the machine only entered the picture afterwards. Strachey subsequently used his formalism to compare and contrast a variety of programming languages, including ALGOL60. But, note thus that this was all happening under the umbrella of exact mathematics and, hence, in an arbitrarily large and potentially infinite setting. The finiteness was intentionally ignored. The previous passage appears in both Dijkstra's draft and final texts: EWD 367 and EWD 372. 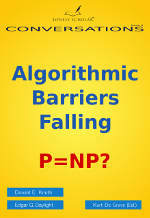 But the latter also contains a critical remark for those who ignored the finiteness of programming problems. 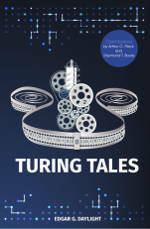 Note that Dijkstra attributed the infiniteness to Turing and Scott; that is, to mathematical logic in general. On the one hand, Dijkstra, Parnas, and others frequently insisted throughout their careers not to ignore the finiteness of real machinery, even when reasoning abstractly about software . On the other hand, contrast the above passage with my post on the older Dijkstra in 1981 when he did exploit the infinite albeit for his work on mathematical methodology, not programming methodology. During the 1970s, Dijkstra became increasingly interested in Hoare's axiomatic-based reasoning. Intuition, so dominant in his metaphors and analogies of the 1950s and 1960s, was making place for purely formal reasoning. Panel Discussion: `Efficient Processor Construction'. Proceedings of the International Symposium of Symbolic Languages in Data Processing. C.M. Popplewell (ed.) March 1962. C. Strachey, `The Varieties of Programming Language', Technical Monograph PRG-10, Oxford University Computing Laboratory, March, 1973. The monograph is a revised and slightly expanded version of a paper given at the International Computing Symposium at Venice 12-14 April, 1972. J.W. 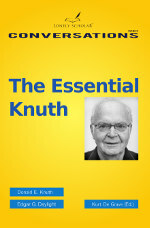 Backus et al., P. Naur (ed. ), `Report on the algorithmic language ALGOL 60'. CACM 3.5, p. 299-314, 1960. A. van Wijngaarden, `Numerical analysis as an independent science', BIT 6, p. 66-81, 1966. [EWD 367] E.W. Dijkstra, `EWD 367: On the axiomatic definition of semantics', 29 April 1973. [EWD 372] E.W. Dijkstra, `EWD 372: A simple axiomatic basis for programming language constructs', 8 May 1973. E.G. 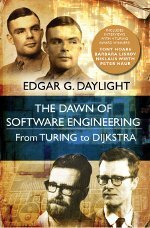 Daylight, `Towards a Historical Notion of "Turing — the Father of Computer Science"'. Submitted to a special issue in the journal History and Philosophy of Logic.